SOLIDWORKS take a look at the top reasons why you should shelf your old 2D software in favour of a 3D CAD solution. Product designers and engineers today are under the gun to crank out products at breakneck pace. And, consumers, the ultimate “boss” of all product development companies, don’t want just any products. Today’s consumers demand products that are smart and connected, are aesthetically pleasing, high quality, personalized and are offered at a price they are willing to pay. Competition has stiffened, time to market is shrinking and fickle consumers are demanding more functionality than ever. All of this combines to make product development more complex than ever. So how do manufacturers keep up? Well, industry leaders hire the best engineers and designers, and they use the best tools available on the market. In world of product development, that means using 3D CAD. Nonetheless there is still a lot of product design being done in 2D. In a recently released Tech-Clarity eBook entitled “The How-to Guide for Transitioning from 2D to 3D CAD,” the author points out the many shortcomings of designing products using 2D CAD tools. While designing in 2D may seem easier, you are losing out on some benefits that would not only make your company more competitive, but would make you more valuable in the job market. The future of design is 3D so you can bet that the majority of jobs will require competency in 3D CAD. Find problems earlier. Let’s tackle how moving from 2D to 3D CAD can benefit the process of designing new products. Using 3D CAD enables engineers and designers to detect problems with their designs much earlier because you can clearly see interferences between various components, something you are blissfully unaware of if your designs are created as 2D drawings. Unfortunately the bliss is short-lived when those interferences rear their ugly heads way down the line in prototyping when changes are costly, both in terms of cost and time to market. Identify qualify issues faster. By creating products as 3D models first, designers can conduct virtual tests using simulation software to determine very early in the design process—long before physical models exist—whether your final product can withstand the rigors of its real-world environment. In addition to testing for strength, users can also test for thermal characteristics, vibration, frequency, kinematics, flow simulation, etc. By pinpointing problems early in the design cycle, engineers can go back and tweak and re-test, letting them rest assured that their final products will perform as designed. By using FEA tools, such as SOLIDWORKS Simulation, you can validate products and test them in their real-world environments early in the design process. More iterations = better products. The only way to truly create an innovative product is to evaluate as many design options as possible. If you’re relying on 2D CAD, the number of iterations is severely limited, due to the high cost of physical prototyping and the realities of shorter time to market. The luxury of asking “what if” and having these queries answered without the need for any physical model—through the use of virtual tests—enables truly optimized products to be created without sacrificing time to market. Easier design collaboration. Today, more and more disciplines are involved in design reviews. If you’re still using 2D CAD, however, clearly communicating design intent takes on a new level of difficulty. Interpreting 2D drawings requires specialized skills. Sharing a product model in 3D greatly improves design collaboration and reduces the number of errors or miscommunications. Faster design changes. Changes are an everyday reality for product designers. By offering design “associativity” when changes are made to the 3D CAD model, anything that references it (including drawings, assemblies, NC programs, etc.) are automatically updated to reflect that change. So even late-stage design changes can be made without the need to redraw or recreate downstream deliverables. This leads to substantially shorter design cycles, accelerated time-to-market, and increased productivity. Still not convinced? Download the “How-To Guide for Transitioning from 2D CAD to 3D CAD” eBook to learn best practices that will help you shorten the learning curve for adopting a 3D CAD tool and achieve the fastest possible ROI. 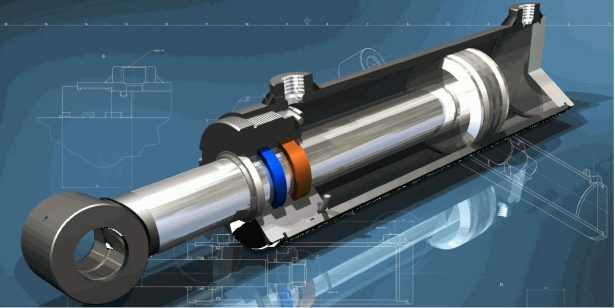 This post was originally published By Barbara Schmitz on the SOLIDWORKS Blog and is being reposted here with permission from Dassault Systemes SolidWorks Corporation.